Do yourself a favour and forget all you know about Linoleum. There’s something different on the market and it could transform your home or office flooring forever. Marmoleum is similar to Linoleum but with some amazing upgrades in look and design you will love using this in your living spaces. You’ll see the improvements by simply looking at the variety of products. 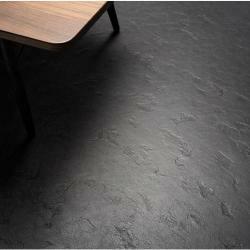 Browse through these options of the Forbo Marmoleum products Remland currently stocks. Why do You Need Marmoleum? 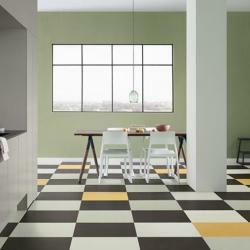 Marmoleum is made from raw, natural materials. It won’t give off dangerous toxins or gasses as many other floorings do. Marmoleum flooring has certification that it’s asthma and allergy friendly. Where else will you get this? Marmoleum is heat resistant too. You have less chance that this flooring will burn so it makes it an excellent option for work spaces, children’s areas and homes. If you’re concerned about the environment Marmoleum is your answer. British made from 97% natural raw materials. 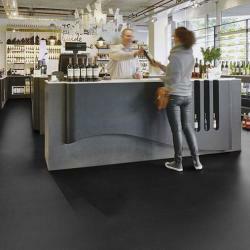 Now and in future your decision to pick Marmoleum flooring will help the environment. If you’re looking for effortless flooring options, Marmoleum tiles should be on your list. Marmoleum is easy to clean with water and a mop. Remland knows our customers need long term solutions. If this is one of your primary requirements you should consider Marmoleum flooring. Marmoleum can last up to 40 years though it’s usually kept for around 20. As stated above Marmoleum is the upgrade of Linoleum. You don’t have to settle with boring designs or colours anymore. Different colours. At Remland you’ll find over 300 colours across the various ranges. You’re bound to find one that fits your room’s interior. You can use different designs and colours to create a floor with a unique design. Are you ready to start planning? When it comes to installation you’ll love how easy it is. 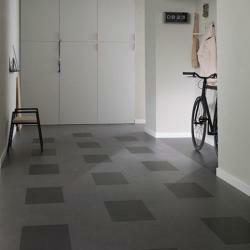 You can lay down sheets or alternatively Marmoleum Click tiles easily and securely fit into each other. Laying them down is easy as building a puzzle. Professional services can be used but Remland offers you all the accessories you need if you want to attempt a DIY project. 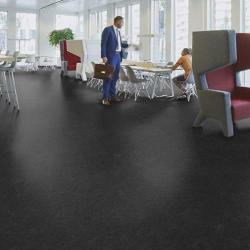 Marmoleum is relatively affordable. At Remland we offer quality products at amazing prices. This affordability stretches into your future too. 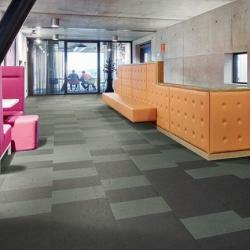 Marmoleum is a flooring type with the lowest cost of ownership across its lifespan you may ever find. You get variety, durability and cost effectiveness in one! You can see that there are no dangerous elements that can harm people or the environment. 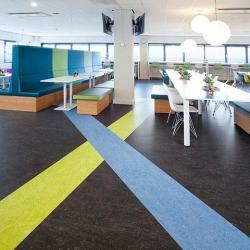 Marmoleum flooring is quiet which is an added benefit for offices and homes is. If you don’t want footsteps disturbing a meeting or a sleeping child this is the flooring for you. Because of the natural elements in Marmoleum flooring you must take good care of it so it doesn’t stain or rot. Luckily it doesn’t require much effort. For general cleaning you simply use water and a soft mop after which it can air dry. Don’t apply strong chemicals to the floor as it can damage or stain the natural surface. You also don’t want unnecessary harmful chemicals on a floor you purchased for its health benefits. When Marmoleum is installed it needs to be well sealed. This prevents marks and damage. For this reason Remland’s Marmoleum flooring comes with a Topshield2 and UV finish. You can apply polish to Marmoleum but take care to purchase products that won’t harm the flooring. It’s wise to put protective layers between heavy furniture and Marmoleum flooring. You will have less indents in your floor and it will prevent scratches when furniture is moved. Stains can form from oily or acid substances. Don’t let your pets or cooking ruin your floor. Remland’s vision is to supply clients with ideal flooring options no matter the room, size or requirements. What are you planning? Our expert team wants to help you find the perfect, practical and aesthetically pleasing solution. Remland Carpets continuously sources the best products in the market. We offer it to you at exceptional prices. When you’re ready to start your project we will even deliver it for free if your order is more than £49. All our products are showcased online. If you do have questions you can visit our showroom in Kent. Place your order online and wait for your flooring to be delivered. You can get all you need right here. We offer a range of accessories. Have them delivered too. You don’t have to leave your building to start your next flooring project. 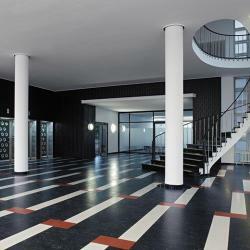 Flooring is an important decision in building and renovation projects. At Remland we want to make it as easy as possible on you and your budget. 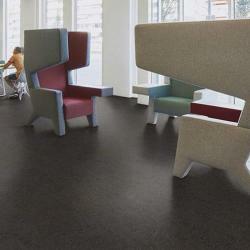 Use Marmoleum for its practicality and diversity. Along with Remland’s other products such as carpets, vinyl and laminates we will supply all your flooring needs.